This week saw the release of a bunch of fun new stuff! We got our hands on 10.7.2 for Lion, iOS 5 for iOS devices, and the launch of iCloud as a platform. The camera got a nice little boost with iOS 5. One major thing is the ability to launch the camera right from the lock screen. Simply double tap your home button, and a new icon appears that will launch you right into the camera app. Related to this, we are now able to use the volume up button to take a picture. While you will still need to tap to focus, not having to obstruct your view to snap the actual picture is a nice touch. One of the most talked about features are the new notifications in iOS 5. Now, we are longer presented with the translucent blue popup that needs to be dealt with immediately. The new system shows a subtle rotation in the menu bar area, and then the user is able to access previous notifications by swiping down from the top of any app. This area is also configurable, allowing you to show notifications from other built-in apps and third party apps as well. This is the feature I was most excited about. I tend to leave my phone charging at night, so that means my cord is always next to my bed rather than next to my computer. With WiFi sync, once my iPhone is on the same network as my iTunes, I can easily hit the sync button from within iTunes to immediately have all my podcasts synced to my iPhone. In the future these two things will sync automatically without me having to do anything, but this is still pretty great. The launch of this platform is a big deal, and I don’t think we have seen even the beginning of the potential this is going to offer all iPhone users. 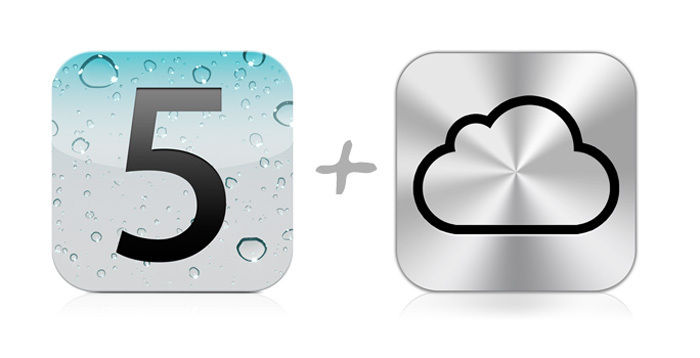 Once app developers start developing with iCloud support in mind, I think we will question how we ever lived without it. In the meantime, I would suggest checking out the new icloud.com, it’s really slick. Traditionally Apple hasn’t been great at online platforms, since iCloud represents the third major outing in my memory alone. My sense, however, is that Apple is slowly coming to grip with the mobile nature of our lives and how they intersect with our devices.